This is a SET OF SCREWS for Samsung UN55D8000. Screws connect the factory stand to the back of the Samsung UN55D8000 LCD TV. NEW Samsung UN55D8000 LCD TV Screws for Stand - 8 screws. Includes FOUR (4) screws that connect the Stand to the base & FOUR (4) Screws that connect the stand to the back of the UN55D8000 TV. 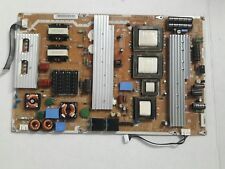 Samsung PN64D8000, PN64D8000F Main Logic CTRL Board. TV Panel Manufacturer Samsung. MFR Part Number 1 Samsung BN96-16544A. Known Models SAMSUNG PN64D550C1FXZA. SAMSUNG PN64D7000FFXZA. SAMSUNG PN64D8000FFXZA. TV Panel Model S63FH-YB06. Part Type X-Main Board. Pulled from working tv with damage to screen. 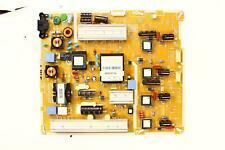 SAMSUNG PN59D8000FF BOARDS LJ41-09451A / LJ41-09449A / LJ41-09450A. Pulled from a working unit with a cracked screen. TV Model(s): UE55D8000YU. Note: These screws connect the base to the neck AND connect the neck to the TV. Just send us your model number. Part Type: Screw Set for Samsung Base Stands - Set of Eight (8) Screws.